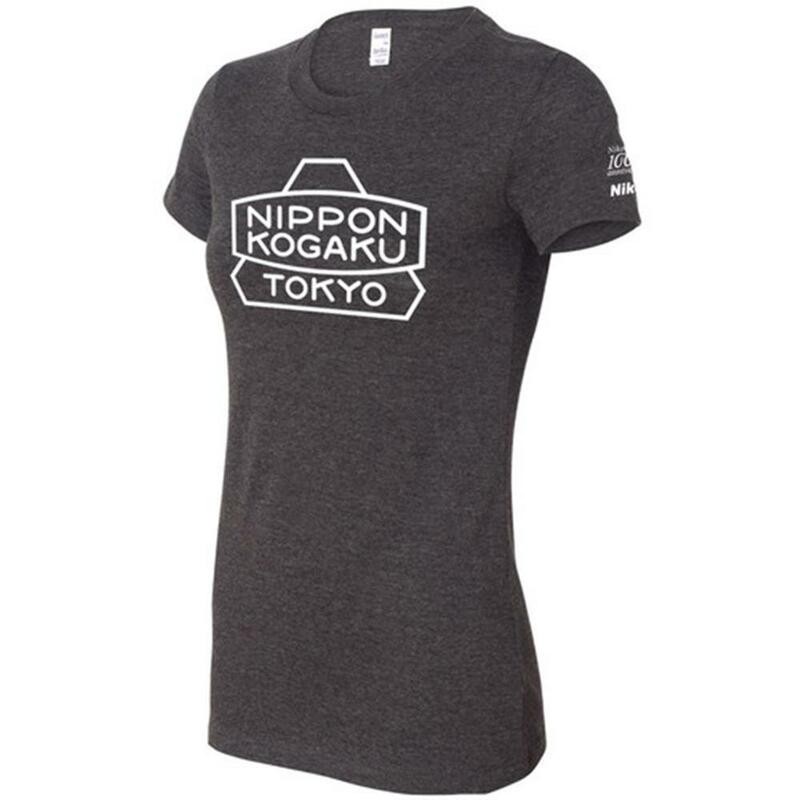 The 100th Anniversary NIPPON KOGAKU Women's Jersey T-Shirt is a premium short sleeved T-Shirt in charcoal gray, designed to celebrate Nikon's 100th Anniversary by showcasing one of its most iconic logos of Nikon's 100 year history. Instantly recognized by dedicated Nikon fans, the NIPPON KOGAKU logo is iconic in and of itself since it adorned some of Nikon's most iconic early products. The NIPPON KOGAKU logo is one of the brand's past logos and it was first used in 1948. This T-shirt was especially designed for the avid Nikon fan and to help you show off your Nikon pride. With its historic nod to Nikon's past, and with a simple, clean and vintage look, you'll be the envy of your friends and fellow photographers with this unique shirt. Wear your Nikon pride as you join with us in our 100th Anniversary celebration with the premium T-shirt that features the NIPPON KOGAKU logo (circa 1948) and the Nikon 100th Anniversary logo. The soft, lightweight Ladies Jersey T-Shirt is made of 100% combed and ringspun cotton; features side seams and a relaxed fit with a tear-away label. Please note that sizes run small.